Stop by the Rockford Area CVB (102 N. Main St., Rockford) and shop for some Rockford gear! 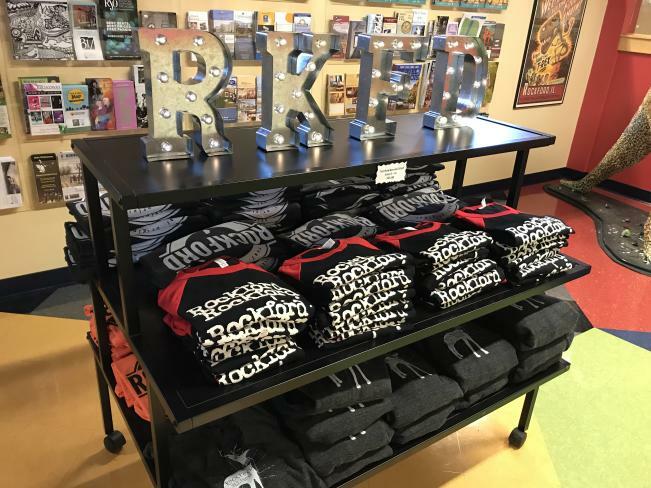 From shirts to water bottles to postcards, these items make great gifts or additions to your Rockford item collection! Purchase items through our online store, in person at the RACVB office, or over the phone. To purchase items over the phone, please call our office at 815.963.8111 to pay with a credit card. The RACVB office is open Monday - Friday from 8:30 a.m. - 5 p.m. Please note that the office will be closed from December 23 - January 1.